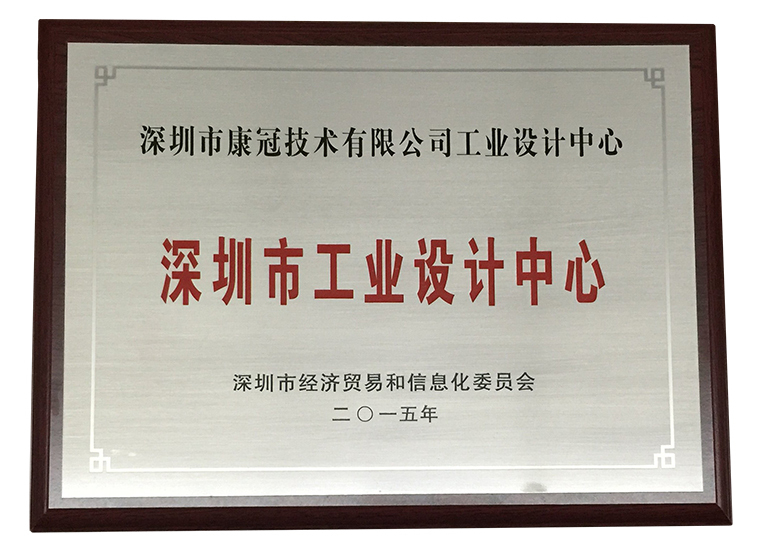 December 28th, the Shenzhen Municipal Economic and Information Technology Committee on Trade published the 2015 second batch of Shenzhen Industrial Design Center recognition list which including our company. Shenzhen Industrial Design Center focusing on supporting of industrial design innovation ability, distinctive features, management practices, outstanding performance, and the level of development has a leading role in industrial design center. As the Shenzhen Industrial hundred enterprises, since our foundation, we have been adhere to product quality, in order to improve product design, improved production processes, standardize hardware and software design and development of our products, our company set up independent industrial design center. Industrial Design Center as the company's core product development department, play a vital role in innovation-driven for today. We submitted the material to Shenzhen Industrial Design Center recognition for application in May of this year, after six months of rigorous examination, our Industrial Design Center has finally come to the fore, got the recognition and confirmation of the government and authority. This would not only inspired our design center operations, the system examination also be formed at the center for our design oversight force, to standardize our business model of industrial design center. At the same time we will continue to support the development of industrial design center, improve the equipments, e will contribute to more and better product to the society.